When the first edition of Martyn Sloman's Handbook appeared, it made an immediate impact on the HRD community. 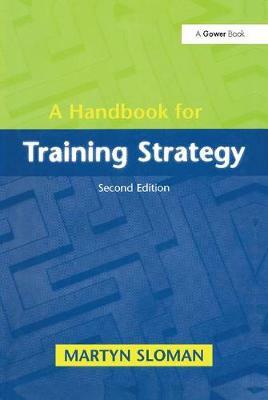 Its starting point was the idea that traditional approaches to training in the organization were no longer effective. The Handbook introduced a new model and set out the practical implications. The world of HRD has moved on, and Martyn Sloman has now drastically revised the text to reflect the increased complexity of organizational life and the many recent developments in the field. His aim remains the same: to help readers to develop a framework in which training can be effectively managed and delivered. In Part I of the text the author draws attention to the opportunities created for training by the current emphasis on competition through people. In Part II he poses the question: 'What should training managers be doing to ensure that training in their organization is as good as it can be?' Here he stresses the need to keep training aligned with business objectives, and to encourage line managers to work alongside the human resource professionals. The third and final Part considers the trainer as a strategic facilitator and examines the skills required. Martyn Sloman writes as an experienced training manager and his book is concerned, above all, with implementation. Thus the text is supported by questionnaires, survey instruments and specimen documents. With its combination of thought-provoking argument and practical guidance, the Handbook will continue to serve all those with an interest in organizational training.